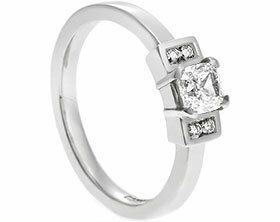 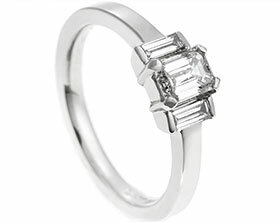 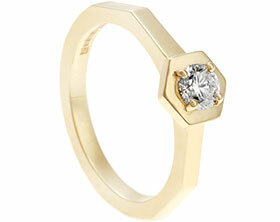 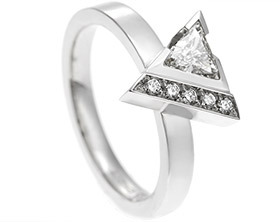 Kieran wanted to design a ring to propose to Joan with and he knew she would love a square diamond. 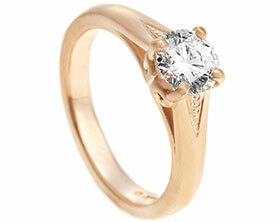 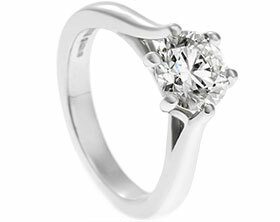 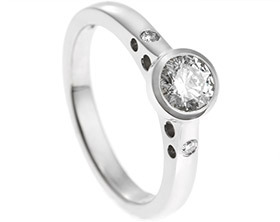 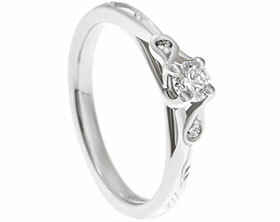 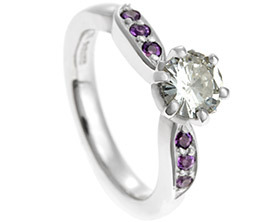 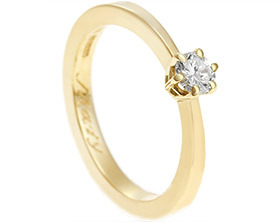 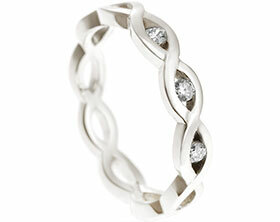 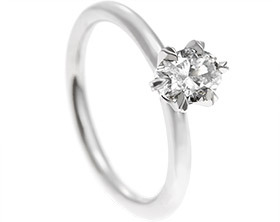 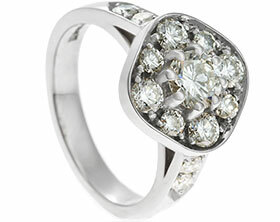 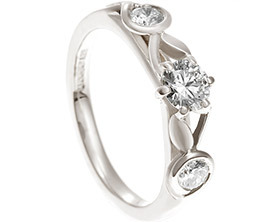 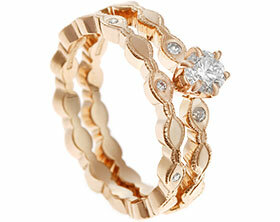 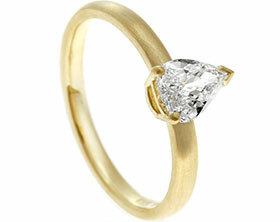 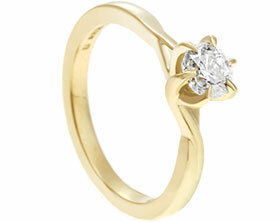 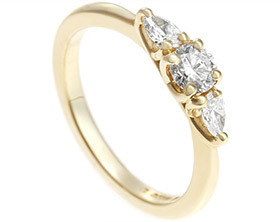 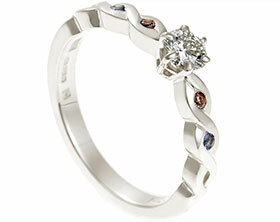 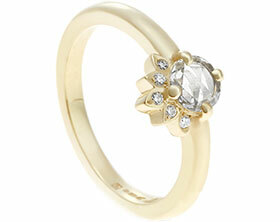 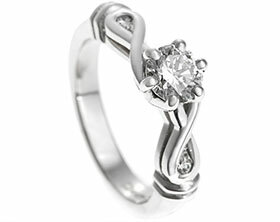 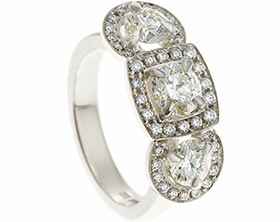 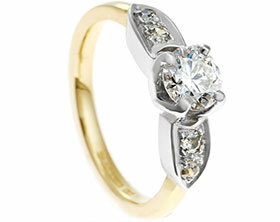 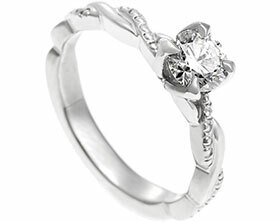 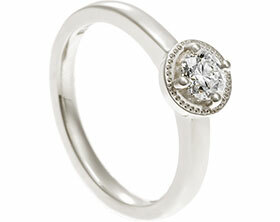 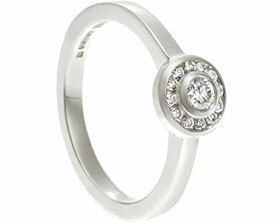 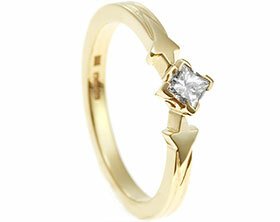 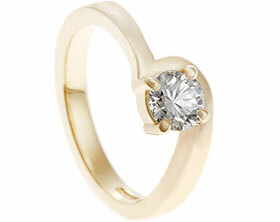 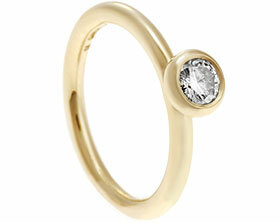 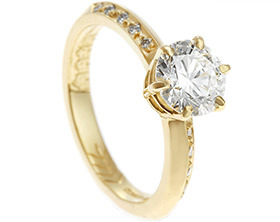 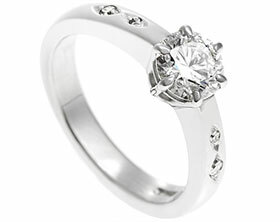 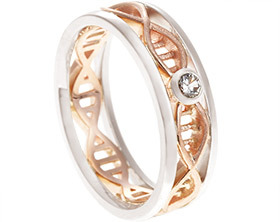 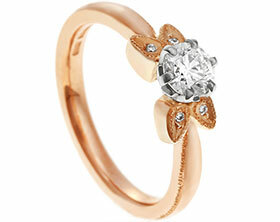 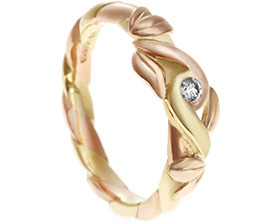 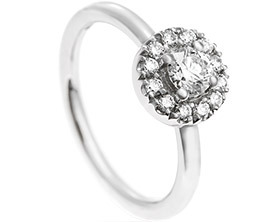 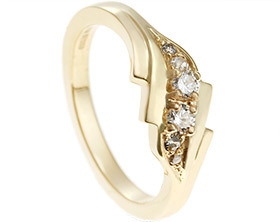 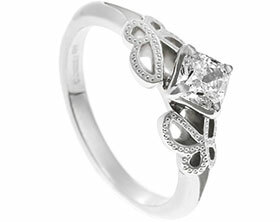 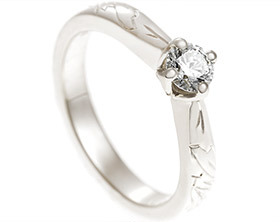 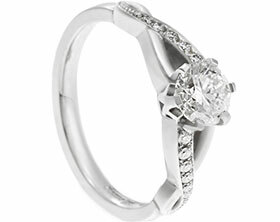 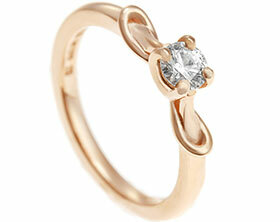 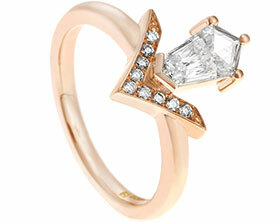 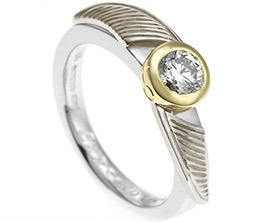 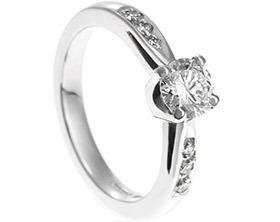 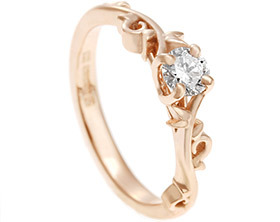 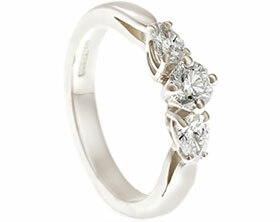 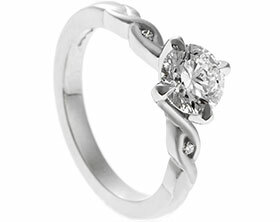 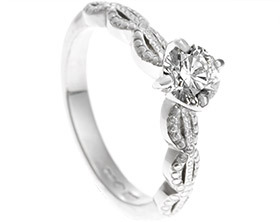 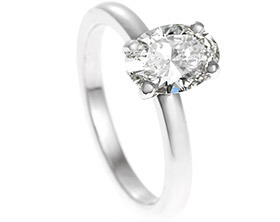 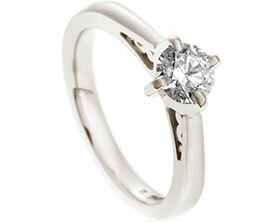 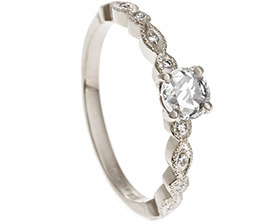 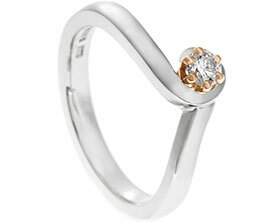 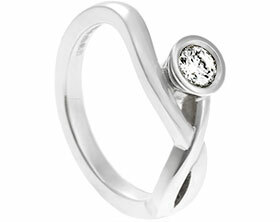 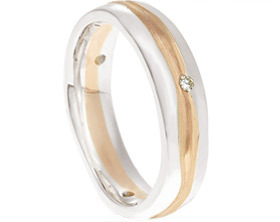 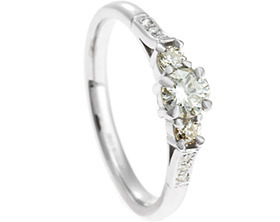 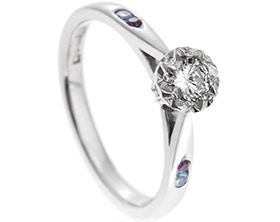 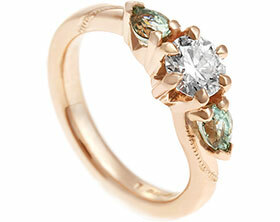 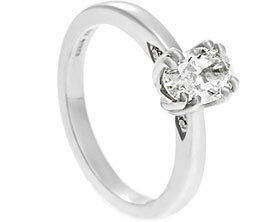 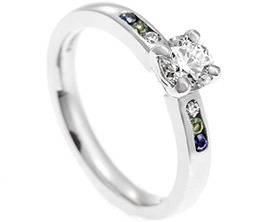 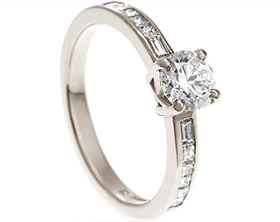 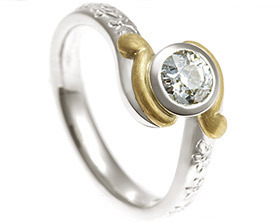 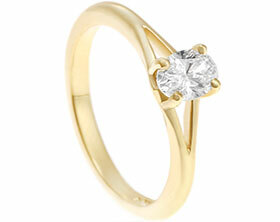 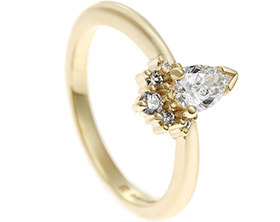 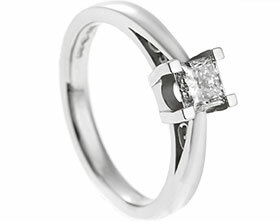 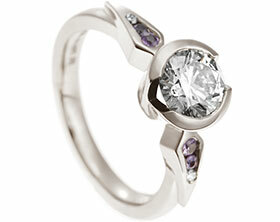 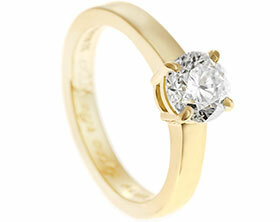 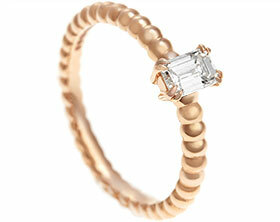 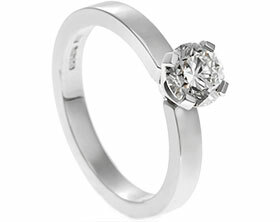 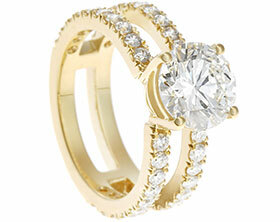 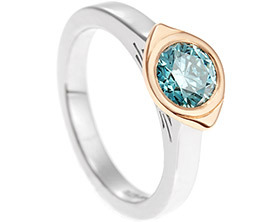 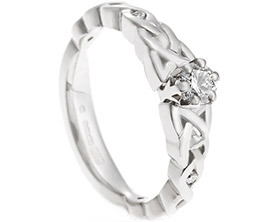 The design has a 2.7x1.9mm baguette cut diamond held in the band in a tension style setting for a seamless look. 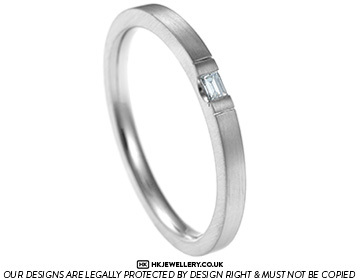 The band itself is handmade in palladium and is 2mm wide with a satin finish and a saw cut line either side of the diamond.